I've been stamping with a lot of florals lately and thought a Holiday twist would be fun! I was super inspired by Melissa's beautiful pastel holiday creation over on the PTI blog, so I decided to enter the challenge with this little number. I'm sort of loving the switch up of colors and materials here! Such a fun card to make, with plenty of layers. So let's break it down! To start, I stamped a half card base with 1canoe2's Twilight floral stamp set, in Archival ink colors of Violet, Tea Rose, Sky Blue, Viridian, Leaf Green, and Cornflower Blue. Just at the top and bottom, I added a stitched detail using PR's Positive Thoughts stamp border. I adhered this piece onto a my card base, so it could act as a pocket. On the side of the base, I stamped candy canes, hearts and bonbons and added a few melted Perler beads (tutorial here) as well as a dash of Nuvo Jewel drops in Rose Water. Inside the pocket, I tucked in a little tag with more soft layers. At the bottom, I added some sparkly trim, heart-printed washi tape, sugared candy canes, and a sentiment. The vellum poinsettia is from Altenew's Poinsettia and Pine stamp set, embossed in white. 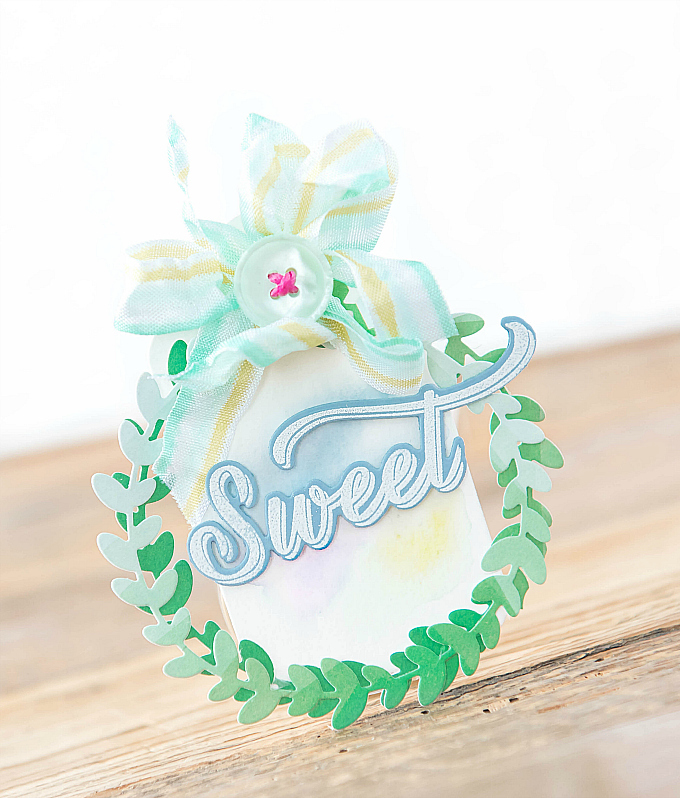 For the tiny tag, I used PTI's Rustic Wreath die to cut out two wreaths from Pinkfresh Studio's Escapade paper. For the base, I used PTI's Tag Sale #1 die, and a tiny bit of ink blended in the center. For the sentiment, I used PTI's Holiday Hugs kit stamps and dies. 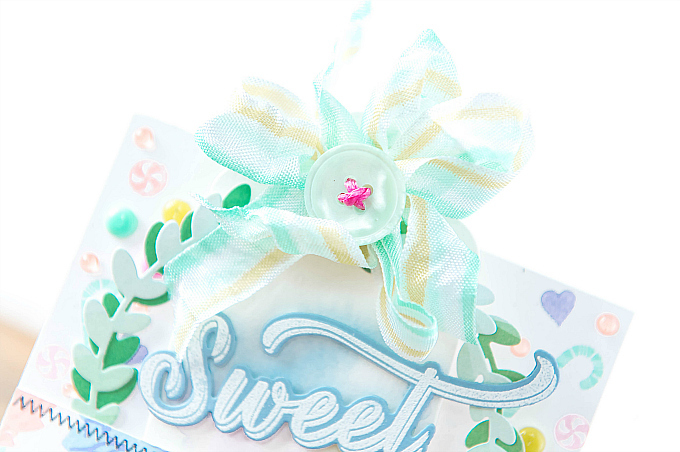 I added a striped bow on top (you can find my tutorial here). I thought it was just the perfect candy-themed touch! Gorgeous cards, Ivan's!! 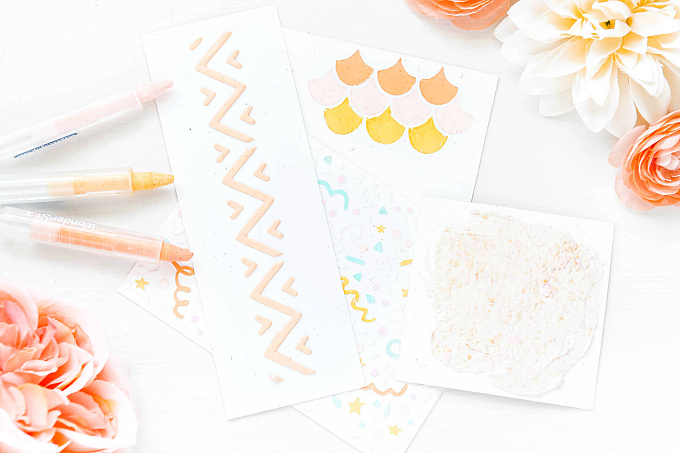 Love your soft colors and stamped images. So pretty!! Just beautiful! Love all the layers and pretty colors. Nice touch adding that cute tag! What a sweet surprise your pretty little tag is! I like the details of the stamped stitching and the mix of embellies. This is lovely Ivana! A big hug and many thanks, Lisa! I absolutely love the sweet PR stitch stamps - still my favorite after all these years! This is a gift in itself! Completely enchanting! Thank you so much, Nancy! Means so much coming from you - I adore your art! Everything you make is beautiful. Such a delicate yet colorful Christmas card! 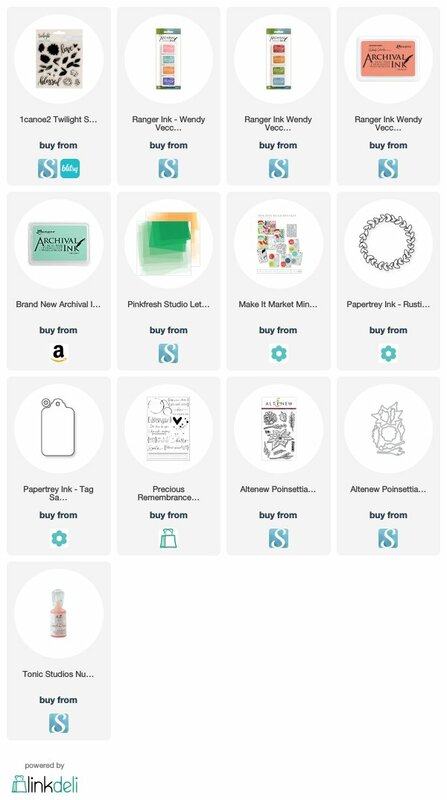 I love how you put everything together and it works EVERY SINGLE TIME ! xoxo miss you! Aww thank you so much sweetie! Miss you too! Ivana, this is so light and airy, inviting and SWEET! 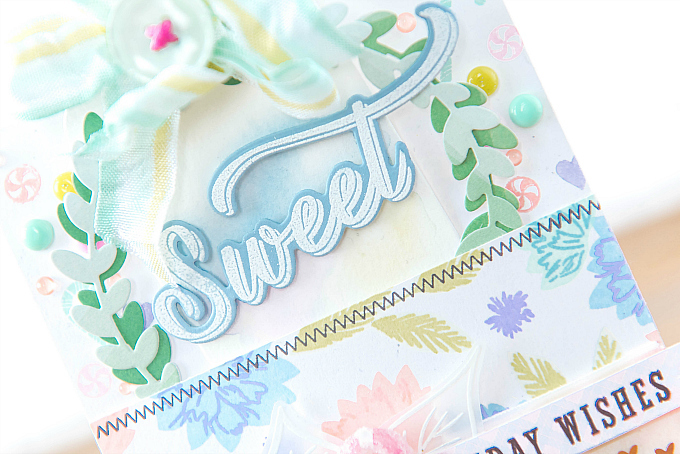 The soft colors and many dainty details make this card so uniquely beautiful! Love it! So fun & unexpected--love this, Ivana! Such a lovely creation Ivana~wonderful details and layers!